Filled with a mix of vegetables and fruits, this delicious smoothie contains tons of vitamins, minerals, and even protein. Healthy and simple to make, this recipe is a perfect solution for a quick but nutritious breakfast. 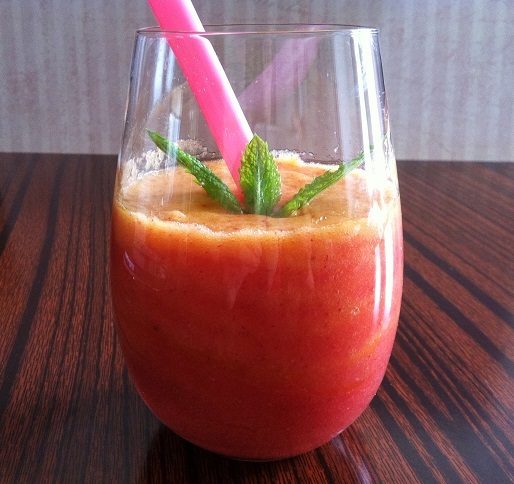 Doesn’t this smoothie sound amazing? It contains soo many different fruits and vegetables that I don’t even feel the slightest bit guilty drinking it! What’s in it? Let’s see… There’s an apple, a mango, three strawberries, a banana, half an avocado, an orange, some baby spinach, a little bit of baby kale, and some Greek yogurt. 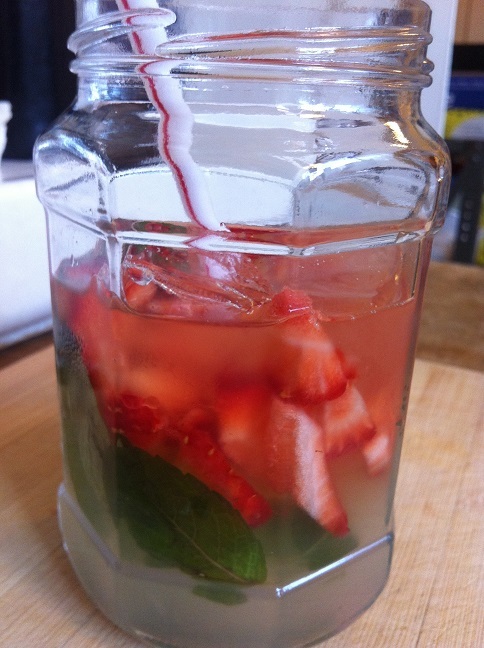 Slightly sweetened lemonade with fresh strawberries and a hint of mint, a refreshing drink for a hot day. Lemonades are perfect for any day. But what’s better than the classic lemonade? Lemonade with the slightest hint of mint and contains fresh chopped strawberries for added flavor and sweetness. Doesn’t that sound amazing to you? It takes a little bit more work to get that minty taste, but it is definitely worth it. A delicious blend of strawberries, blueberries, Greek yogurt, and a bit of milk, this smoothie is a great way to start the day. I’m actually heading to Lake Tahoe with my friends tonight for a weekend getaway. I don’t venture to snowy areas that often so I’m super excited. And I had no idea what to pack! Which really means that I probably over packed. We’re supposed to go snowboarding, but I’ve done it only once before, three years ago. I know I’m going to fall a lot! 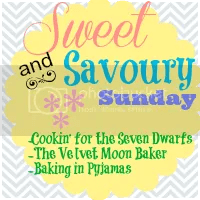 Even though I’m going to be away, I’m writing this recipe beforehand so I can publish it over the weekend anyway. 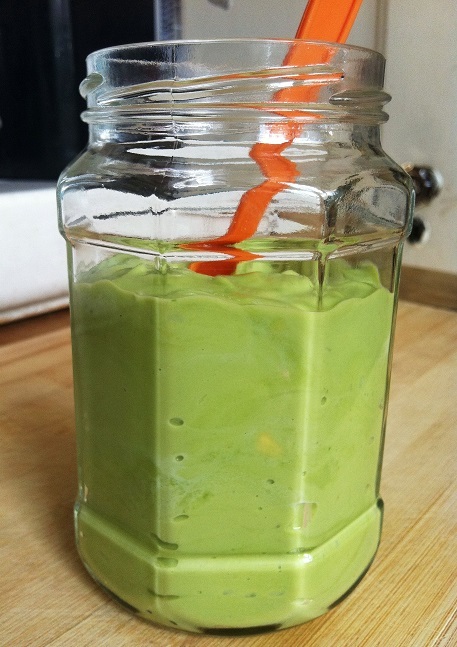 Slightly sweetened with condensed milk, this avocado smoothie tastes delicious and creamy. The richness of this smoothie will keep you full for a long time, a perfect afternoon snack to keep away the need to munch. 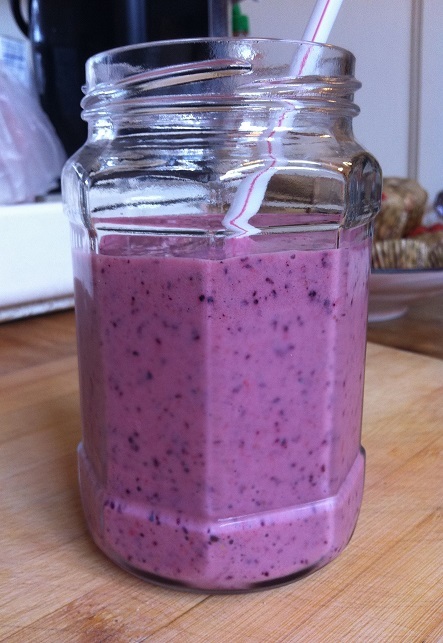 Quick and easy, this smoothie takes less than 10 minutes to prep and make. Most people use avocadoes in salads, burgers, crepes, eggs benedicts, and so much more. Its rich and creamy texture is a great compliment to many foods. I love avocado in my foods. But my favorite way of eating avocadoes? 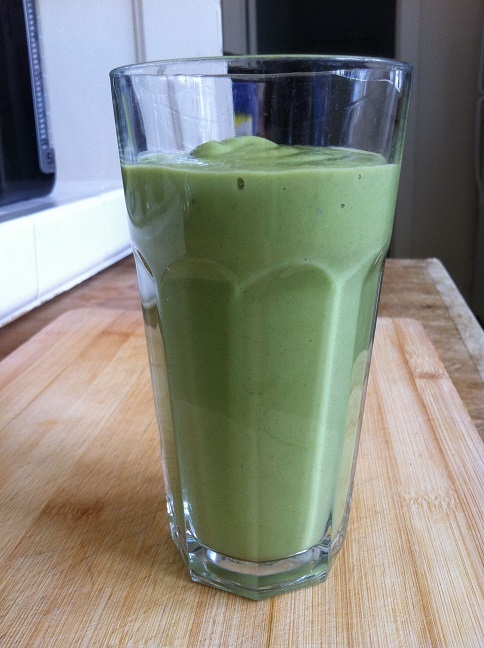 Smashed avocadoes or an avocado smoothie. If you have no idea what they are, you’re in for a treat! Slightly minty and bubbly with a hint of lemon ginger ale soda that is perfect for Valentine’s Day. This will be the first of a few Valentine’s Day related posts for those who are looking for something quick and easy yet special for the 14th of this month =). 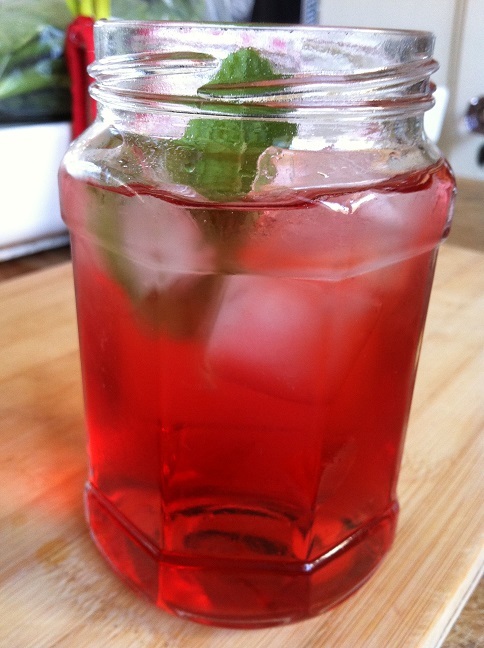 This beverage recipe is so simple that it’ll take you less than 5 minutes to make. Yet it looks amazing with the bright red color, perfect for Valentine’s Day.